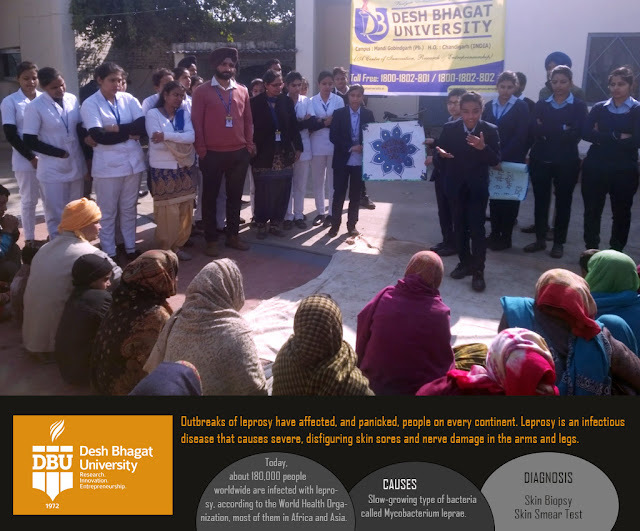 Desh Bhagat University Faculty of Nursing students observed World Leprosy day by arranging an awareness drive to save the people from this disease. As part of this awareness campaign, nursing students arranged a rally. this event students went from door to door to make the people aware against leprosy and various other diseases. They presented role play on myths about Leprosy prevailing in the society and imparted education regarding preventive measures of leprosy at Shiv Mandir Kusht Ashram, Sekhupura. The chief guest on this occasion was Dr Gurdit Singh Sodhi, Civil Surgeon, Fatehgarh Sahib.Â Free medicines and personal care kits were also distributed among the residents of Kusht Ashram. 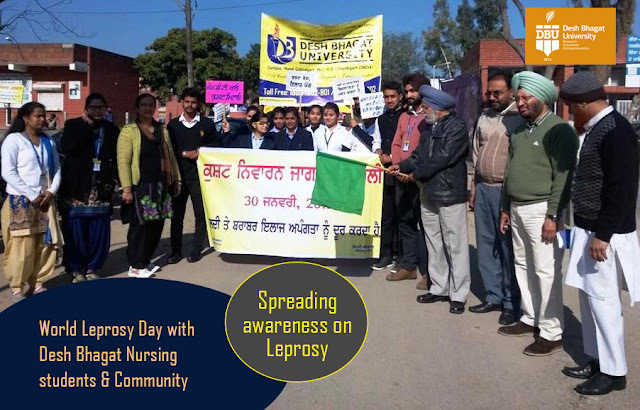 The campaign was being undertaken under the guidance and supervision of faculty of nursing Director Mrs. Ramandeep Kaur Dhillon. 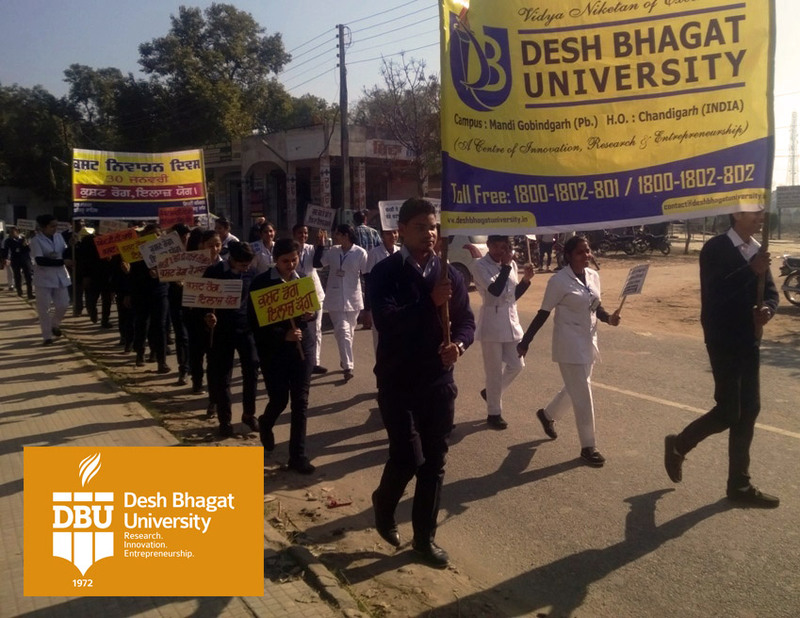 The students distributed pamphlets to spread health awareness among the people, they also exhorted the people to keep their surroundings clean and green. Desh Bhagat University Chancellor Dr. Zora Singh and Pro Chancellor Tejinder Kaur appreciated the initiative taken by nursing students and also encouraged the students to plant maximum number of trees.